The leading introduction to computer crime and forensics is now fully updated to reflect today’s newest attacks, laws, and investigatory best practices. 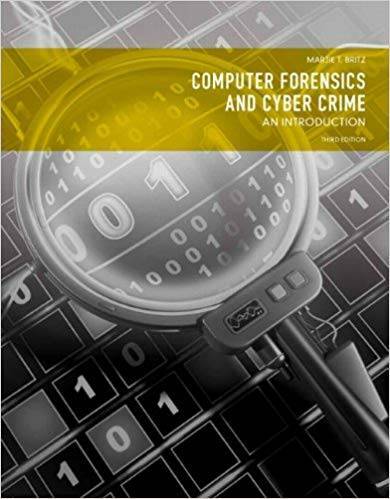 Packed with new case studies, examples, and statistics, Computer Forensics and Cyber Crime, Third Edition adds up-to-the-minute coverage of smartphones, cloud computing, GPS, Mac OS X, Linux, Stuxnet, cyber bullying, cyber terrorism, search and seizure, online gambling, and much more. Covers all forms of modern and traditional computer crime, defines all relevant terms, and explains all technical and legal concepts in plain English, so students can succeed even if they have no technical, legal, or investigatory background.